Dedicated Developers nabs coveted top spot in Clutch.co’s most recent rankings of website developers in Atlanta. ALPHARETTA, GEORGIA, UNITED STATES, August 9, 2018 /EINPresswire.com/ — Alpharetta, GA, August 9, 2018 (Newswire.com) – Dedicated Developers, a leading provider of digital business solutions, has been named the #2 website developer in Atlanta by a prestigious online ranking company. 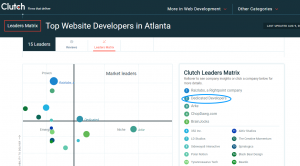 Using proprietary technology called the “Leaders Matrix,” which analyzes client feedback and industry data, Clutch.co determined that Dedicated Developers is currently the #2 ranking website developer in Atlanta. Clutch.co is a company noted for its ratings and reviews of leading IT, marketing and business services companies. Clutch.co’s unbiased reviews and rankings, business comparisons, and industry trend reports have made it the go-to place for business decision makers looking to find highly qualified and highly reliable web development companies. Dedicated Developers offers website development and a number of other services including Mobile App Development, Software Development, Full-Stack Development, Cloud Computing Services, IoT Services, Enterprise Mobility Solutions and more to clients around the world. 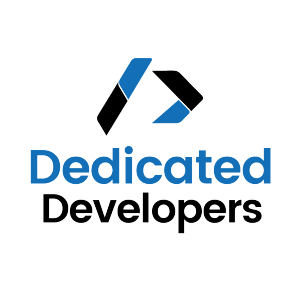 Dedicated Developers has offices at 2300 Lakeview Parkway, Suite 700, in Alpharetta, GA, and at 22602 Princeton Place in Castro Valley, CA. For more information, please visit https://dedicateddevelopers.com/. Founded in 2007, Dedicated Developers has become a leading provider of Website Development, Mobile App Development, Software Development, Full-Stack Development, Cloud Computing Services, IoT Services, Enterprise Mobility Solutions and more to clients around the world. The company has built a high performing team using strict selection criteria that have resulted in less than 5% of all applicants being chosen to work for the company. The team includes Graphic & Website Designers, Web Developers, PHP Coders, Android & iPhone Mobile Application Developers, and much more. The company’s founders have over 25 years of combined development and design experience and have earned master’s degrees in electrical and computer engineering. If a company is preparing to expand its business onto the Internet or is in need of more modern technology, Dedicated Developers is uniquely qualified to help it reach more potential clients both local and worldwide. And, with its customizable service and pricing plans, the company makes the best web development services affordable for almost any business.